Motherhood is a strange thing, ya know? There are moments of complete, overwhelming love for your babies, where you want nothing but to hold them as close as possible. Then there are moments of complete, overwhelming chaos, where you want nothing but to get as far away as possible for a little break. Am I right, Moms? Since motherhood is such a demanding job, I think it's essential to take a break. Actually plan time away, not just running out the door in sheer exhaustion when your husband gets home from work. Putting yourself in "mommy timeout" is essential. Thankfully, my husband is very gracious and seems to be able to tell when I need a good timeout for myself. 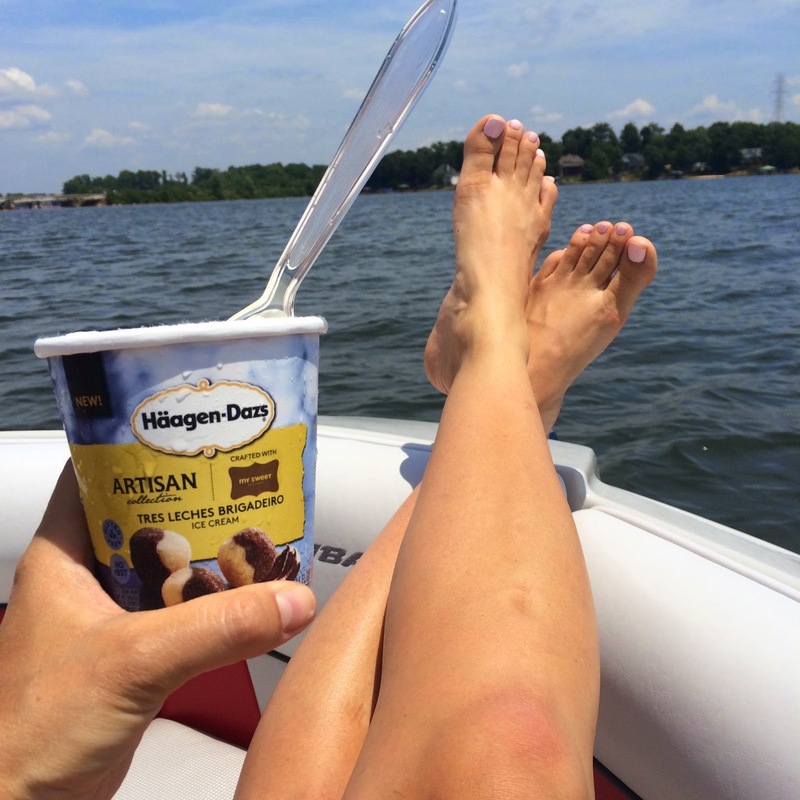 My favorite way to spend that time, is on the lake. There's nothing more relaxing to me than to be on the water. And there's no treat I'd rather have out there with me, than some delicious ice cream. 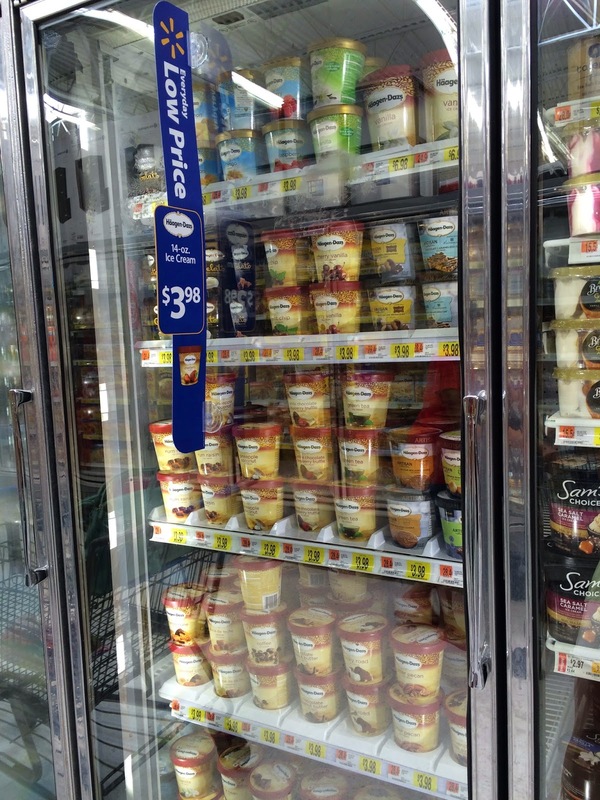 My personal favorite is the Banana Rum Jam. It reminds me of Bananas Foster, which is one of my favorite desserts. Ginger Molasses Cookie and Chocolate Caramelized Oat have been tasted, right out of the container, of course, and are hard to beat. Do you take time for yourself to get away? Studies have shown that vacation makes employees perform better at their jobs. These little mini-vacations for mom are so good for the soul and I think, really help me to be a better mom. 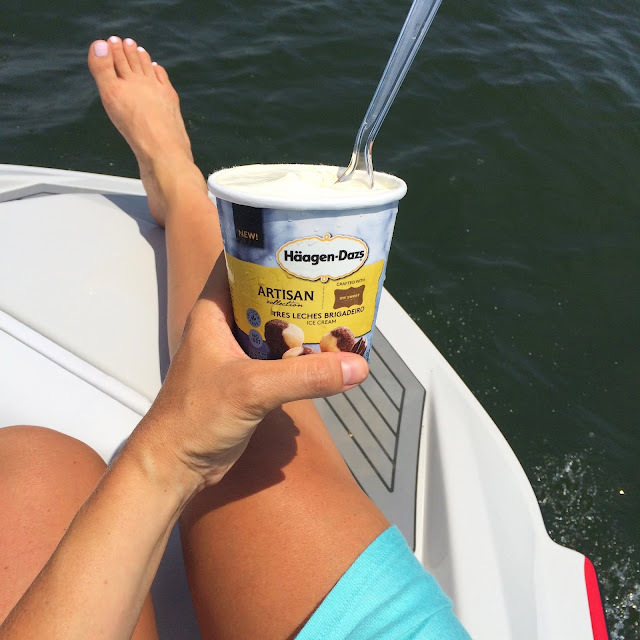 You don't have to take a whole afternoon on the lake, either. It could be a walk around the block. A pedicure. A cup of coffee, finished while still warm at the coffee shop, or even just an little time in your backyard with a good book. 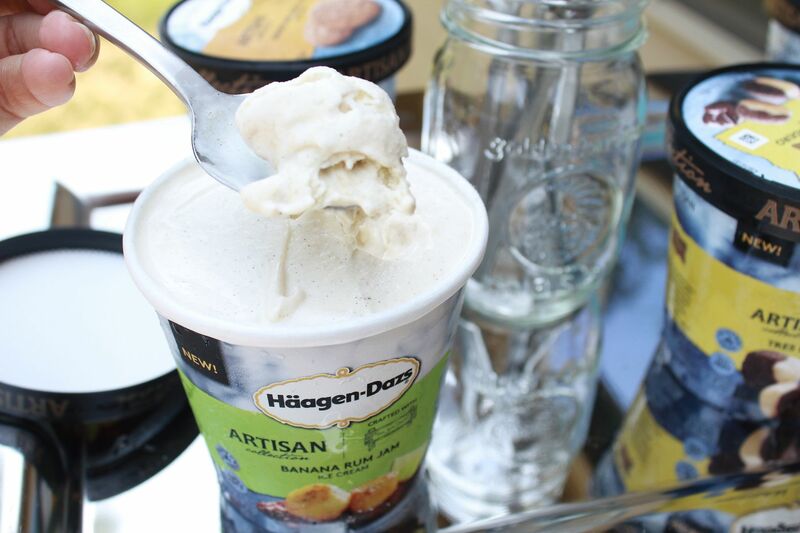 Haagen Dazs is helping you treat yourself with this awesome giveaway! 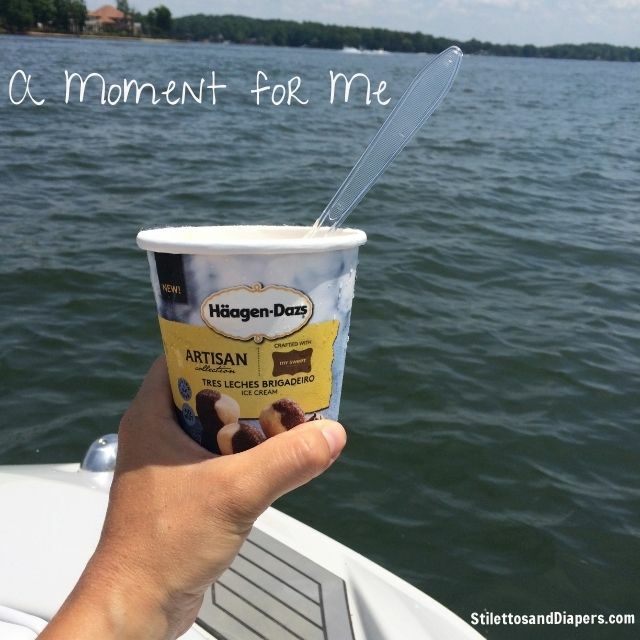 Whatever it may be, make sure you take a "moment for me" to recharge those mom batteries. Your family will thank you for it! Do you give yourself mom timeouts? What is your favorite moment for me? 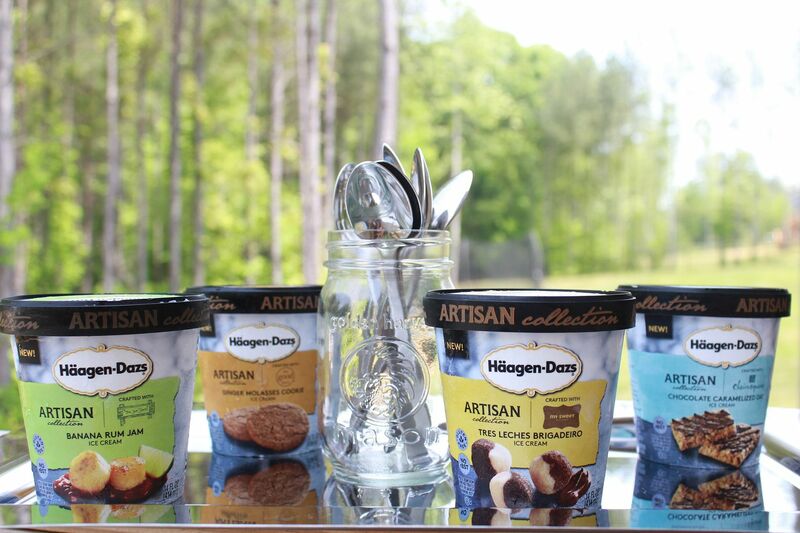 Check out Nestlé® Häagen Dazs on Twitter, Facebook and Instagram for more info about their new Artisan Collection! 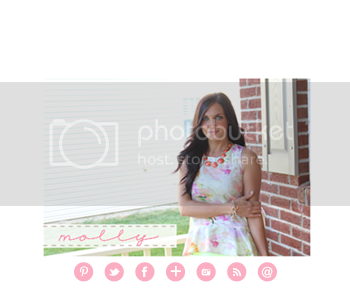 Click below for Stilettos and Diapers, the main blog! © 2011-2013 Site Design By: JessWrightDesign. ALL RIGHTS RESERVED. Design elements may not be copied or transferred.